The natural energetic forces of the oceans’ moving water, temperature and density gradients—“blue” energy—represent a vast source of clean, reliable and renewable power that can be captured and converted to electricity. There are two main types of “blue” energy: marine hydrokinetic (MHK) and marine gradient. This fact sheet introduces both, with a focus on MHK energy. MHK energy resources include ocean waves, tides, and currents—the kinetic energy associated with moving water. Recent studies estimate an electricity generation potential of nearly 1,600 terawatt-hours (TWh) from MHK resources within U.S. waters. This is equivalent to 40% of the nation’s electricity generated in 2014 and enough to power over 130 million U.S. homes. Power from ocean currents alone could supply 27% of the power consumed in the coastal Southeast U.S. during 2012 and represents a $15 billion annual market opportunity. Since 2008, the U.S. Department of Energy has invested over $130 million in research and development of MHK energy technologies, with the majority of funds supporting private-sector projects and commercialization initiatives. “Blue” energy is an emerging industry, and experts around the globe are working to tackle the challenges associated with commercializing MHK technologies. These range from technical issues—such as designing operationally efficient energy conversion devices—to socio-economic market barriers, to environmental considerations—such as protecting sea life and ecosystems. Successful marine renewable energy projects are tailored to address these challenges with site-specific solutions. The Southeast National Marine Renewable Energy Center (SNMREC) at Florida Atlantic University is a local hub of expertise on “blue” energy. SNMREC research, development and education activities focus on the two main forms of ocean energy that occur offshore Southeast Florida: the MHK energy of open-ocean currents—the Florida Current part of the Gulf Stream system—and ocean thermal energy. Water is essential for sustaining life on earth and provides a wealth of economic, environmental and social value. Some water resources are visible in our daily lives—such as the running tap water in our homes and the streams, rivers, lakes and oceans we visit for recreation. A less familiar use of water resources is providing energy for electricity generation. Water wheels have been used for centuries to generate mechanical energy for milling grain and lumber. In the U.S., hydroelectric power has been supplied from river impoundment projects (dams) since the late 1880’s, and today there are over 2,500 hydroelectric dams nationwide. In the past year, over 6% of the electricity generated nationwide—and nearly half of all renewable electricity generated—came from conventional hydroelectric power. But the concept of hydropower also includes modern and rapidly-evolving technologies that convert marine renewable energy to clean electricity. Think of the power of an ocean wave as it propels a surfer or tosses a ship about during a storm (Figure 1). Think of the energy it takes to swim or paddle a sea kayak against the force of a tidal flow. Think of the steady and strong Gulf Stream currents that carry warm waters through the Gulf of Mexico, around Florida’s peninsula, and deliver them to the North Atlantic Ocean. If these forces of the ocean’s moving waters can be successfully captured, they represent a significant source of abundant, clean and renewable energy. This fact sheet provides information about energy harnessed from the movement of ocean waters, known as marine hydrokinetic “blue” energy. Basic marine energy concepts are introduced, with a focus on research and development activities being conducted by the Southeast National Marine Renewable Energy Center (SNMREC) at Florida Atlantic University (FAU). For a 4-minute audio-visual primer on marine and hydrokinetic energy in the U.S., view this Department of Energy (DOE) video “Energy 101: Hydropower”. What is “Ocean” or “Blue” Energy? Many different terms are used to describe and classify concepts around electric power generated from water resources—hydropower, hydroelectric, ocean energy, blue energy, renewable energy, hydrokinetic energy—and it can be challenging to navigate and distinguish among them. This section introduces these terms and explains how marine hydrokinetic energy fits into the bigger picture. Ocean, marine, or “blue” energy generally refers to renewable energy resources available from the oceans: onshore, nearshore and/or offshore in open waters. For a 3-minute introduction to “blue” energy, view this video primer from the SNMREC. There are two main categories of ocean renewable or “blue” energy: marine hydrokinetic (MHK) energy, which works with the movement (kinetics) of ocean water, and marine gradient energy like ocean thermal energy conversion (OTEC), which leverages seawater temperature (thermal) gradients. Both forms of marine renewable resources—MHK and gradient—contain vast amounts of energy useful for generating electricity. While there are other forms of marine renewable energy, this fact sheet focuses on MHK and provides a brief introduction to OTEC, with links to further resources for both. Why is MHK Energy Important? Similar to capturing the energy of falling water from hydroelectric dams, the natural energetic forces of the ocean’s moving waters—“blue” energy—can be harnessed as a source of clean, renewable power for generating electricity. Because they capture and convert energy from water resources, MHK and OTEC devices are technically forms of hydropower, yet they are quite different from most contemporary hydropower technologies. Of the thousands of hydropower projects installed globally since the late 1800s, massive hydroelectric river impoundments—engineering marvels like the Hoover Dam—are among the most iconic. In the 21st century, the landscape of hydropower technologies is being transformed. While patented marine energy concepts go back centuries, there has been a contemporary “resurgence” and acceleration of marine energy research and development in recent years. Modern MHK technologies are evolving rapidly and, project-by-project, are beginning to supply clean power to coastal regions around the world. Verdant Power’s Roosevelt Island Tidal Energy (RITE) Project in the New York Harbor (2006-2009) was the world’s first operation of a grid-connected tidal turbine array. The Perth Wave Energy Project in Australia—which started in 2012—is the world’s first commercial-scale, grid-connected wave energy array. At least half a dozen commercial MHK projects are in the deployment phase in Europe. And there are even new scientific journals devoted solely to understanding and advancing the field of marine energy. Unlike intermittent wind and solar energy resources, energy from ocean currents and gradients is continuous, offering the promise of a stable, baseload source of power for electricity generation, especially along the nation’s shorelines. This is particularly valuable given that more than 50% of Americans live within 50 miles of the coast. Electricity from marine renewable energy is most cost effective when supplied to coastal towns and cities near the resource, but inland communities can still benefit from MHK energy development. Adding clean renewable energy capacity to our nation’s portfolio of electricity generation helps offset the energy produced from limited fossil fuels (coal, natural gas and oil) and reduces associated environmental impacts. For Floridians, MHK resources are also a “local” source of renewable energy that can complement the state’s growing solar industry, help reduce our reliance on natural gas and coal imports to fuel electric power plants, and create “green” jobs. In 2013, the Georgia Tech Research Corporation released a report estimating that the Florida Current alone has the potential to generate an average of 5.1 gigawatts of capacity, enough to power more than half of Florida’s homes in 2014. How Much Energy is Available from Marine Renewable Resources? Recent studies of available and recoverable energy resources in U.S. waters estimate an MHK electricity generation potential of nearly 1,600 terawatt-hours (TWh) per year. This is equivalent to 40% of the nation’s electricity generated in 2014, enough to power over 135 million homes. About three-quarters of this recoverable MHK potential (1,170 TWh/year) is in wave energy, concentrated in Hawaii, Alaska and the Pacific Northwest. National assessments also indicate that there are substantial shares of recoverable MHK energy potential in tidal resources (250 TWh/year) along both the Atlantic and Pacific coasts and ocean currents (163 TWh/year) concentrated in the Florida Current portion of the Gulf Stream. A web-based GIS tool produced by Georgia Tech allows users to map the depth, mean speeds and kinetic power densities of ocean currents in the U.S. 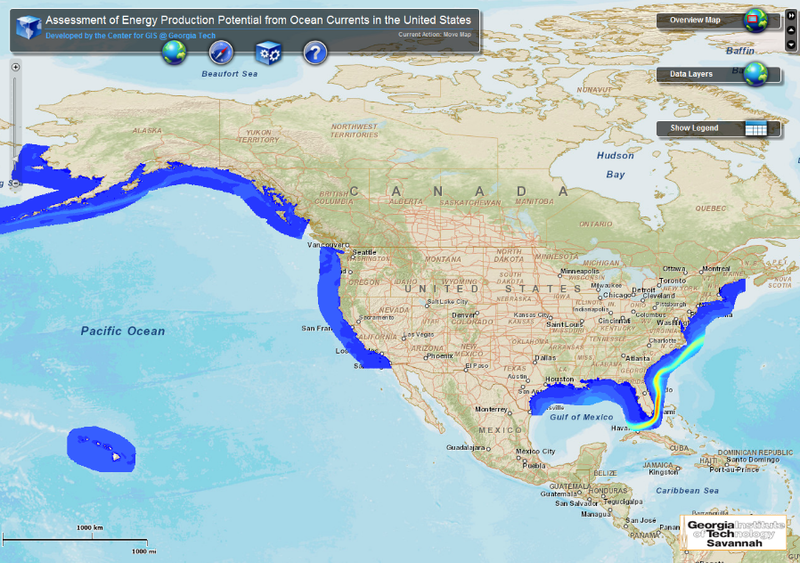 Figure 3 shows a screenshot of this mapping tool; notice the red, yellow, and aqua colors along the Gulf Stream currents, which indicate relatively high densities of energy potential. 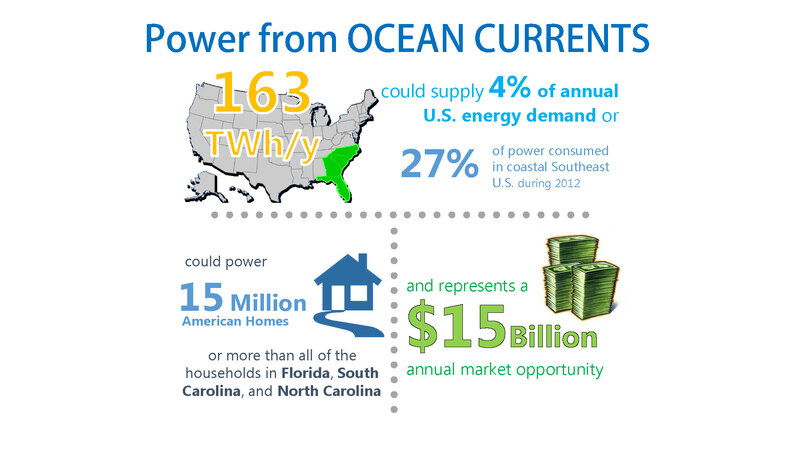 Power from ocean currents alone could supply 4% of annual U.S. energy demand, or enough to power 15 million homes (more than all of the households in Florida, South Carolina, and North Carolina), and represents a $15 billion annual market opportunity (Figure 4). In addition to these MHK resources, OTEC is also a promising source of marine renewable energy, with an estimated potential of 576 TWh/year concentrated in the southern latitudes around Hawaii and the Southeast Coast of the continental U.S. There is also significant power potential from riverine hydrokinetic energy (120 TWh/year), concentrated in the Mississippi River. Figure 5 summarizes the findings of these national marine renewable energy resource assessments. How is Power Harnessed from MHK Resources? MHK energy, while renewable, clean, and plentiful, must be converted to electricity before it can supplement more traditional forms of energy. This requires technology—machines of one kind or another. This section provides an introduction to the types of technologies used to harness energy from MHK and OTEC resources. Whether it is found in a tidal flow, offshore currents, or the ocean’s surface moving up and down in waves, the water’s kinetic energy—energy of motion—can be captured and used to drive machinery that generates electricity. These technologies can be broadly classified in two groups: wave energy conversion (WEC) systems and current energy conversion (CEC) devices. Wave energy can be converted in various ways, typically using devices that ride up and down on wave crests and troughs and, in the process, driving a mechanical linkage that turns a generator. There are four primary types of WEC systems, all of which capture the kinetic energy between two bodies relative to one another: oscillating water column (or “terminator”) devices, point absorbers, attenuators, and overtopping devices. Oscillating water column devices, like the one shown on the left in Figure 6, look like inverted cones that are partially submerged and are open in the bottom. As the water level rises and falls from passing waves, the air trapped beneath the “cone” operates like a piston, powering an internal turbine generator. Point absorbers use a floating device, like the one shown on the right in Figure 6, to ride the vertical motions of waves, pressurizing a fluid (e.g., seawater) and driving a turbine. Attenuators are long, jointed structures (envision a marionette’s arms or legs) that are positioned parallel to waves with anchors at either end; they generate energy from the segments’ opposing rotational motion as waves move along the converter. Overtopping devices operate like small floating reservoirs that capture seawater from breaking waves, creating pressure that turns a rotor as the water falls from the reservoir. CEC devices use flowing water in tidal and open-ocean currents to turn turbine blades that generate electricity. Of course, conversion systems must be able to operate under water rather than in the atmosphere, but the principle is the same: moving water turns a rotor, which turns a generator, and electricity is created. CEC turbines come in many different designs and can be horizontally-oriented (like the one shown at the left in Figure 7), vertically-oriented (like the one shown at the right in Figure 7), or helical (like the one shown in Figure 8). The simplest way to understand the concept of a marine current generator is to visualize a wind turbine (or some version thereof), but underwater instead. Water is nearly a thousand times heavier than air—a current of 1 knot has the power of winds blowing at 10 mph or so—which means that CECs can operate efficiently even in relatively slow-moving ocean currents. However, conditions in deeper water offshore southeast Florida, where the Florida Current is, prevents using “underwater wind turbines” like those found on land, fitted with masts—the waters are simply too deep. To address this issue, researchers are working to design, test, and build machines that are tethered to an anchor on the ocean floor and “fly” in the current (Figure 9), much the same way that a kite does in the wind. To see basic schematics and links to videos of different types of WEC and CEC devices, see “How Hydrokinetic Energy Works”, a publication by the Union of Concerned Scientists. OTEC is a subset of gradient energy conversion, which uses potential energy (rather than kinetic) available from the differences in a particular water property (temperature or salinity) throughout the water column to generate electricity. OTEC systems can be open-cycle, closed-cycle or hybrid, and are most effective in locations where the temperature differential between warm surface and cold, deep ocean water is at least 36° F (20° C). Thermal energy from ocean temperature gradients can be used to boil a fluid, creating high-pressure steam that turns a turbine. An added benefit of OTEC systems is that the condensed steam from the process could be drinkable (if water is the working fluid); the technologies effectively desalinate ocean water. 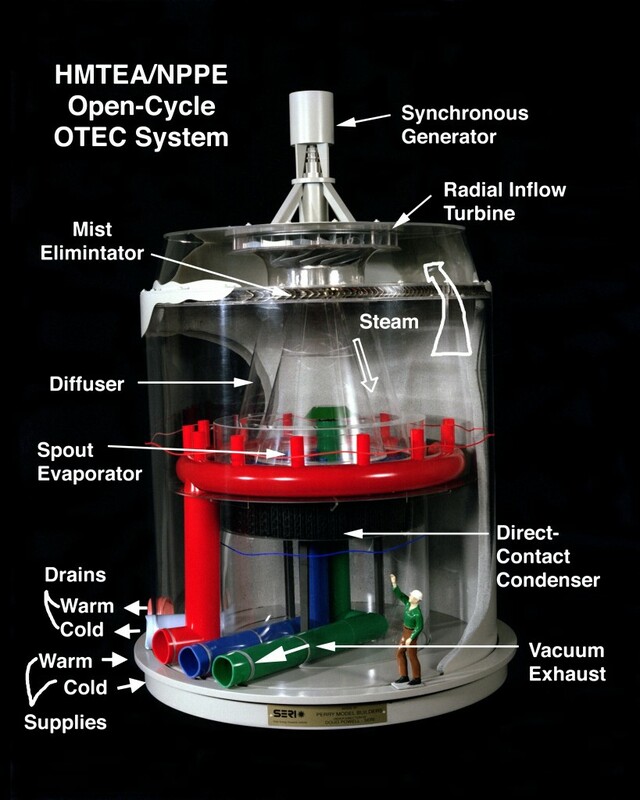 Figure 10 shows an NREL scaled model of an open-cycle OTEC system. For readers interested in learning more about OTEC, see Ocean Thermal Energy Conversion (a webpage of the National Oceanic and Atmospheric Administration) and Ocean Thermal Energy Conversion Basics (a DOE webpage). Unlike hydropower technologies that are well established and widely deployed, marine hydrokinetic energy is a young market. The DOE characterizes the field of MHK energy as an “emerging industry with hundreds of potentially viable technologies.” Yet capturing and converting MHK energy to usable electrical energy for our communities presents many technical, social, and environmental challenges. Some MHK systems are commercially deployed. Others require financial and technology investments, continued resource assessments, marine energy system modeling, environmental impact analyses, and testing before they can advance to responsible commercialization. The regulatory framework governing the marine renewable energy industry is evolving and will also affect future markets for MHK technologies. The DOE has adopted a scale to assess the maturity of technology called Technology Readiness Levels (TRLs). This scale is used to determine the eligibility of projects for certain levels of development funding, but has also been used to describe the relative progress of specific concepts, designs, and efforts. This TRL scale as it applies specifically to ocean current energy technologies is shown in Figure 11. When applied to projects as a whole, it gives an indication of how far the concept is from commercialization. When applied to specific components of systems, or vice versa, an industry, it provides insight into the types of innovations still needed to move forward. 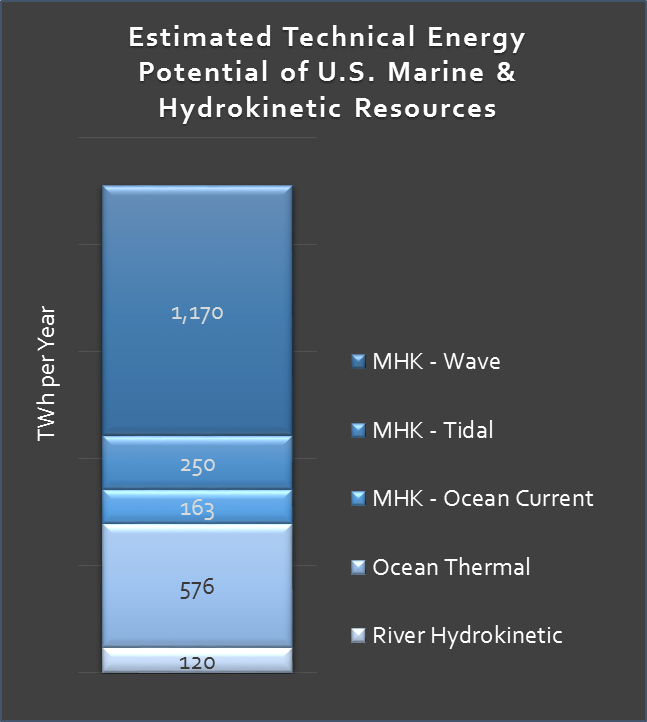 According to this scale, ocean current MHK energy technologies can generally be found in the TRL 1-5 range. No ocean current prototype devices have been tested in a relevant environment and most commercial efforts can be found in either the design phase or small scale demonstration/proof-of-concept testing. OTEC, on the other hand, has received significant development during the past 40 or so years and the industry as a whole can be classified in TRLs 7-8. Although new major systems are still being innovated and no commercial floating plant has been tested at full scale, the operating concepts are fully tested and demonstrated. While evolving rapidly in recent years, the MHK energy sector still requires significant assistance in support of technology development and testing, environmental characterization and risk evaluation, regulatory and policy support, and workforce training. The marine environment can be harsh, presenting unique operation and maintenance challenges that are expensive to tackle. Weather affects at-sea operations, and abrupt changes can be life-threatening to deployment, operation and maintenance crews. Saltwater is corrosive, so equipment must be robust and durable. And marine life is tenacious, eventually covering everything, reclaiming it for the sea. Combining these well-known hazards with new and unknown issues related to the use of open-ocean current systems for power generation—the effects of current shifts on fully submerged equipment moored in over 1,500 feet of water, for example—tests the limits of operational technology. Because proposed designs for MHK energy conversion typically resemble “water-proofed” terrestrial wind turbines, it is often thought that the challenges of commercializing this technology are better understood, and therefore relatively easy to overcome. Yet there are many technological challenges unique to the MHK industry, such as packaging turbines for submerged sea installations, designing appropriate moorings, optimizing rotor efficiency and effectiveness converting ocean current flow to energy, and determining downstream effects one turbine might have on others in a farm arrangement. Addressing these challenges will require significant investment of financial, human and social capital. Environmental concerns that affect the commercial viability of MHK systems include speculation that fish, sea turtles and marine mammals cannot avoid striking the turbines, that habitat could be altered enough to affect marine life, and that sea-bottom communities could be displaced where technologies are deployed. A 2009 DOE report to Congress evaluated the potential environmental effects of MHK energy technologies and—while emphasizing that further research is needed—found “no conclusive evidence that marine and hydrokinetic technologies will actually cause significant environmental impacts”. Careful site assessment and selection is critical to ensure minimal disturbance to marine habitats and wildlife, and each design needs to be evaluated individually for its potential impacts. Social challenges include potential user conflicts with shipping, fishing, and other activities offshore. A 2011 “Marine and Hydrokinetic Renewable Energy Roadmap” prepared by the U.S. marine and hydrokinetic energy trade association identified eight primary project factors that affect the success of commercial projects. Of those, half did not relate to the technology, but were socio-economic factors: policy issues, market development, economic and financial issues, and education and workforce training. To effectively address these socio-economic challenges, leaders in the MHK industry will need to identify solutions for market development and economic/financial issues targeted at both individual company assistance as well as broader market needs. A diverse mix of organizations, agencies, and companies are actively engaged in activities to address the commercial challenges of the MHK industry and establish a healthy and sustainable ocean energy industry. MHK sector stakeholders range from universities, laboratories, and engineering firms that are investigating technologies to government agencies responsible for the regulation, enforcement, and protection of commercial sites. Following a wave of activity in the mid-2000s that focused on assessing ocean renewable resource potentials, the DOE made significant investments to support the national development, deployment and commercialization of MHK energy technologies. The U.S. Wind and Water Power Technologies Office (WWPTO)—in DOE’s Office of Energy Efficiency and Renewable Energy (EERE)—houses the Water Power Program, which implements these MHK energy initiatives for DOE. In April 2015, the WWPTO released a comprehensive report on the most recent seven years of funding dedicated to marine and hydrokinetic energy research and development projects across the nation. From fiscal years 2008 to 2014, over $130 million was awarded from the Water Power Program for 97 projects, with 24 states receiving funding and $86 million (over 60% of total funds) supporting private sector technology development activities. Other award recipients included the U.S. national laboratories, universities and colleges, public utilities, non-profit organizations, and local governments and municipalities. Florida received a sizeable share of this funding ($6 million). The full report is available from the DOE here. The DOE and National Renewable Energy Laboratory (NREL) house a growing online library of MHK resources, cataloguing research and development reports, resource assessment data, projects and activities, patented technologies, and companies active in the industry. NREL’s OpenEI Gateway for Water Power is a user-friendly portal to explore and access many of these resources. For example, at the Marine and Hydrokinetic Technology Database, you can view a current map of MHK technology projects around the world and learn more about each one—including the technologies and companies involved—by clicking on a virtual project “pushpin” color-coded according to the project’s development phase. At the Marine & Hydrokinetic Atlas, you can view the estimated power potentials of wave, ocean current, tidal stream and OTEC resources in the U.S.
Because the ocean renewable energy industry is still nascent, a substantial share of Water Power Program funding has been dedicated for the creation and operation of three National Marine Renewable Energy Centers (NMRECs): one in the Southeast, one in the Northwest, and one in Hawaii. Collectively, the NMRECs leverage the expertise and assets of academic and private-sector researchers, engineers, industry stakeholders, utility companies, non-governmental organizations, consultants and government partners to conduct advanced resource assessments, equipment prototype development, pilot testing (in laboratories and open waters), deployment, monitoring and commercialization of MHK technologies. The Southeast National Marine Renewable Energy Center (SNMREC) was established in 2007 and is led by Florida Atlantic University with a focus on ocean current and thermal energy resources. Located in southeast Florida, SNMREC operates on three of FAU’s campuses—main campus (Boca Raton, Florida), Harbor Branch Oceanographic Institute (Ft. Pierce, Florida), and the Institute for Ocean and Systems Engineering (Dania Beach, Florida). FAU’s main campus serves as the primary location with access to FAU’s administration and management, and cross-cutting, multi-disciplinary research faculty. Most of SNMREC’s offshore infrastructure and projects are fabricated, tested, and launched from Harbor Branch, where the engineering team works alongside Harbor Branch Oceanographic Institute’s specialized offshore fabrication, machining, and operations team. FAU’s Dania Beach campus provides laboratory space where drivetrain testing equipment is installed and some oceanographic measurement instrumentation is prepared for at-sea use. A section of this fact sheet below provides more information on SNMREC’s MHK research and development activities. The Northwest National Marine Renewable Energy Center (NNMREC) was established in 2008 and is operated jointly by the University of Washington (focused on tidal energy), Oregon State University (focused on wave energy), and the University of Alaska Fairbanks (focused on riverine hydrokinetic energy). The Pacific Marine Energy Center (PMEC) houses NNMREC’s suite of facilities for testing MHK technologies, including a wave research laboratory (in Corvallis, Oregon), a wave and current hydraulics laboratory (in Seattle, Washington), and a river energy converter test site (just outside of Nenana, Alaska). NNMREC also conducts open-water testing in the Puget Sound and Lake Washington and full-scale wave and tidal resource testing at two “Energy Test Sites” off the coast of Oregon. Learn more about NNMREC facilities and activities by visiting their website. The Hawaii National Marine Renewable Energy Center (HINMREC) was established in 2009 and is operated by the University of Hawaii (focused on wave and ocean thermal energy). HINMREC is conducting MHK research and development activities at two main facilities: the Wave Energy Test Site at Kaneohe Bay (off the coast of the island of O’ahu) and OTEC testing at the National Energy Laboratory of Hawai’i Authority (NELHA) at Keahole Point (near Kona, Hawai’i). Learn more about HINMREC facilities and activities by visiting their website. As with any emerging industry, cross-sector collaboration and partnerships are critical to ensure the long-term viability and commercial success of the global MHK industry. The U.S. government, national laboratories and NMRECs are working closely with private sector partners in all phases of the research and development process, including discovery and proof of concept; laboratory, test facility and open water validation, system demonstration and commercial deployment. Public-private partnerships are also being leveraged in activities to quantify MHK resource potentials, assess environmental impacts, provide workforce training, and deliver outreach and education to consumers. Nationally, private-sector stakeholders in the U.S. marine and hydrokinetic energy industry are represented by the Marine Energy Council, which is part of the nonprofit National Hydropower Association (NHA). The Marine Energy Council is a trade association dedicated to “promoting the responsible use of [the] nation’s abundant ocean and river energy resources” that lobbies on behalf of the interests of the commercial “blue” energy community. A unified voice for the broader hydropower industry, NHA has over 200 members from large corporations and small businesses, including “public and investor-owned utilities, independent power producers, developers, manufacturers, environmental and engineering consultants, attorneys, and public policy, outreach and education professionals.” Ocean Energy Europe is the Marine Energy Council’s European counterpart and represents over 98 members including utilities, industrial companies and research institutes. At the OpenEI Marine and Hydrokinetic Technology Database, you can view and download a current list of companies active in the global marine energy industry. The database also provides direct links to company websites, specific MHK projects, and patented technologies. In the U.S., offshore energy development activities (in the Outer Continental Shelf) are managed by the Department of Interior’s Bureau of Ocean Energy Management (BOEM) and regulated by the Federal Energy Regulatory Commission (FERC). Through its Renewable Energy Programs, BOEM grants leases, easements, and right-of-ways for offshore renewable energy development projects, supporting the transmission of energy from sources other than oil and natural gas. More information about the regulatory framework and guidelines for MHK activities is available at BOEM’s website. Through its Office of Environmental Programs, BOEM conducts environmental reviews of offshore energy development activities to ensure compliance with federal rules and regulations, in particular the Energy Policy Act of 2005. This one-page fact sheet from January of 2015 provides an overview of BOEM renewable energy activities in the Outer Continental Shelf. FERC is an independent agency that regulates the interstate transmission of electricity and licenses hydropower projects, including those from MHK energy. In this capacity, FERC provides oversight of commercial renewable ocean energy activities in the Outer Continental Shelf. Current information about licensed MHK projects and permits issued as well as maps of these projects is available at this FERC website. Near-shore (tidal) and onshore marine energy research and development activities are also regulated by state, regional and local authorities. Florida currently has no regulations or designated authorities overseeing MHK energy activities specifically, but does have regulations that apply generally to activities in coastal environmental areas and could affect the policy for future MHK projects in the state. Florida is home to some of the world’s leading experts in ocean renewable energy and MHK research facilities. As noted above, the Southeast National Marine Renewable Energy Center (SNMREC) in Boca Raton is a U.S. DOE and State of Florida designated research and development center at Florida Atlantic University (FAU). The Center’s focus is on enabling the safe and responsible commercialization of marine renewables in the U.S., Florida, and the world. Researchers at SNMREC are studying the potential of the Florida Current, an open-ocean current MHK energy resource that is part of the larger Gulf Stream System of currents in the North Atlantic Ocean. 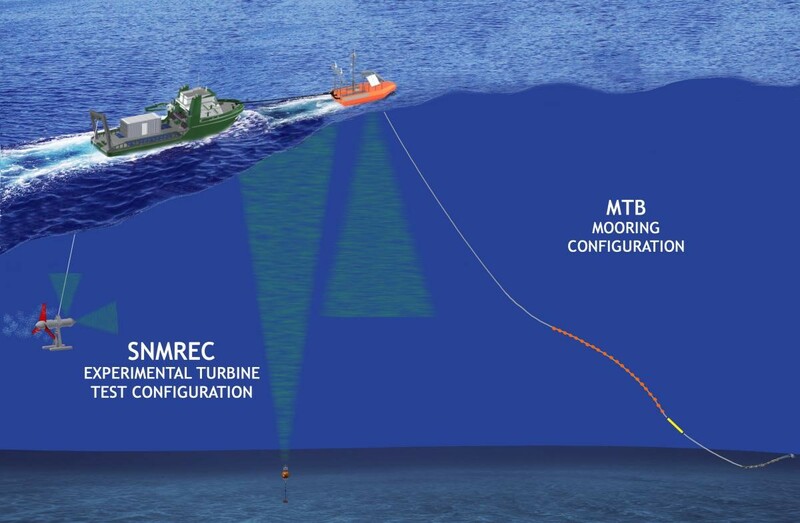 To understand the most promising MHK technology development opportunities in the Southeast, SNMREC is preparing an open-ocean energy testing laboratory. The testing facility consists of an offshore turbine test berth (about 12 nautical miles offshore of Ft. Lauderdale, Florida where the water is approximately 850 feet deep) that is equipped to record various real-time measurements of the environment. This capability is under construction and will be installed to accommodate small-scale turbines with an electric generation capacity of up to 100kW. Although the SNMREC is not designing or building commercial turbines, its engineering team has constructed a small research turbine to collect generic performance data invaluable to commercial manufacturers, to test components, and to inform international technical standards development. 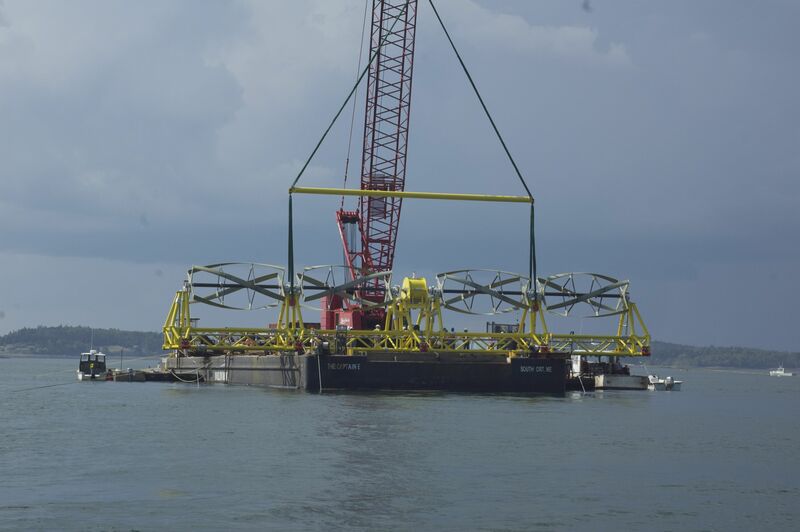 The in-house turbine is constructed from “off the shelf” parts to resemble major features of its commercial cousins and will help the SNMREC refine specialized procedures for testing these systems offshore. The SNMREC testing facility will be capable of testing demonstration systems with rotors up to about 22 feet in diameter. The first turbine that SNMREC will test, the in-house research unit, has a 10-foot-diameter rotor (Figure 12), but full-scale commercial systems on the drawing boards at various companies have rotors with diameters over 100 feet. As mentioned previously, because water is much denser than air, rotors won’t have to spin quickly to generate the same power as wind turbines. For example, the SNMREC’s research turbine will make a full turn every second while larger commercial systems will spin more slowly, approximately once per minute. Small-scale testing of MHK technologies will begin with limited-duration deployments. Using a permanent mooring supported by a surface buoy, prototype devices will be lowered into the Florida Current from a tending vessel, tested, and recovered for shore-based engineering analyses (Figure 13). Only after these procedures are refined will long-term deployments of prototypes be considered. To ensure that marine life is protected, SNMREC is conducting extensive research and evaluation of the potential effects of underwater turbines. We cannot be certain about how marine life will interact with any MHK turbine until one is operating in the water, but evidence and intuition suggest that they can coexist. Full scale tidal turbines have been installed in various locations around the world (Bay of Fundy, New York City, the United Kingdom, and Maine) with no observable harm to marine life. It is important to note that the underwater turbines will move at a considerably slower pace than wind turbines (wind – 80 to 160 mph vs. water – 8-16 mph). Fish, and most marine mammals, can swim much faster than turbines rotate (at least for short bursts) and can detect this equipment before they get too close. However, to ensure MHK is developed responsibly, various studies are underway to observe any effects. The safety of sea turtles is of particular concern, and SNMREC has been carrying out an extensive program of research on sea turtle distributions and behavior. During turbine tests, technicians will be watching for sea turtles and will be prepared to shut down the equipment if one appears to be at risk. In addition, SNMREC is conducting research on sea-turtle distributions and behavior to reduce risk from the deployment and operation of MHK energy technologies. Blue Energy Future: What’s on the Horizon? Despite many challenges, much progress has been made with marine hydrokinetic research and development, and the U.S. is looking forward to a “blue” energy future. Within the next decade, it is quite possible that full wave parks and turbine farms (Figure 14) will be installed and commercially operational in U.S. waters. MHK energy research and development continue to gain momentum, and Florida is at the fore of these national and global initiatives. The DOE continues to invest in programs and projects supporting the development and deployment of MHK technologies nationally. In April 2015, their Office of Energy Efficiency and Renewable Energy announced two such funding opportunities. The Wave Energy Prize competition challenges innovators in “blue energy” to design, model, and test advanced wave energy conversion devices. The “Next-Generation Marine Energy Systems—Durability and Survivability” funding opportunity will provide $10.5 million for initiatives to improve the efficiency and cost-effectiveness of wave and current energy converters. 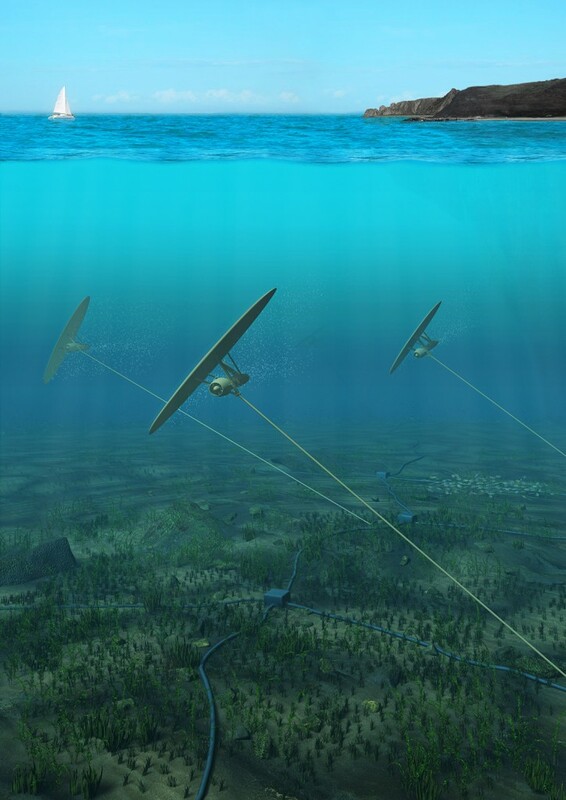 Companies that are designing underwater turbines and other devices to convert MHK energy into electricity need facilities to evaluate prototypes of their designs. These early concepts are intended to provide valuable insights for constructing full-sized units to evaluate reliability and performance in a real-world environment. Here in Florida, the SNMREC is building an offshore MHK testing facility (described above) to accommodate demonstration projects. They will start by testing small-scale versions of commercial ocean current turbines and will eventually test full-scale systems for private-sector industry partners. Full-scale testing will likely include a wired connection to the grid onshore and the opportunity for turbines to be installed for longer periods of time. Projects like this may soon enable us to tap the vast potential of marine renewable energy resources and deliver clean electricity to Floridians. Read the backstory of a Florida-based ocean current energy startup company in this Christian Science Monitor article from December 2014: “How Ocean Current Could Power Half the Homes in Florida”. To hear Florida’s own Susan Skemp (SNMREC Director) share her vision for the future of global marine renewable energy and strategies for achieving this vision, view her 2014 TEDx Boca talk “Powered by the Oceans, Blue Energy”. Explore the Water Power Gateway on OpenEI, which catalogues databases, tools, publications and interactive maps on MHK resources and technologies. You can find advanced information about hydrokinetic energy conversion devices by scrolling down to the “Water Power Reports” section, which lists and links to online technical reports and articles. Check out the SNMREC’s Research website, which houses a library of technical resources and reports on MHK and other “blue” energy technologies. For the latest news on MHK research and development, visit this DOE website. For Florida-specific MHK news, see this SNMREC webpage. Stay up to date with marine renewable energy activities in the Outer Continental Shelf by visiting the Bureau of Ocean Energy Management (BOEM) website here (for a national program overview) and here (for links to regional and state programs). For a European perspective and detailed information on wave and tidal energy news and technology, see Carbon Trust’s Marine Energy website and this 2011 presentation given in Washington, D.C. by the Ocean Renewable Energy Coalition (now the Marine Energy Council). American Bar Association. April 2013. The New Wave of Florida Energy: The Regulatory Path to Harnessing Marine Hydrokinetic Power. Conference Paper. Last accessed June 26, 2015. American Rivers. 2014. FAQs on Dams & Dam Removal. Last accessed June 26, 2015. Australian Renewable Energy Agency (ARENA). n/d. Perth Wave Energy Project. Last accessed June 26, 2015. Bureau of Ocean Energy Management (BOEM). February 2, 2015. Renewable Energy on the Outer Continental Shelf. Fact Sheet. Last accessed June 26, 2015. Bureau of Ocean Energy Management (BOEM). n/d. Renewable Energy Programs: Regulatory Framework and Guidelines. Last accessed June 26, 2015. Bureau of Ocean Energy Management (BOEM). n/d. Renewable Energy Programs: State Activities. Last accessed June 26, 2015. Bureau of Ocean Energy Management (BOEM). May 19, 2010. About BOEM: The Reorganization of the Former MMS. Last accessed June 26, 2015. Carbon Trust. 2015. Marine Energy: Reports. Webpage. Last accessed June 26, 2015. Christian Science Monitor. December 4, 2014. 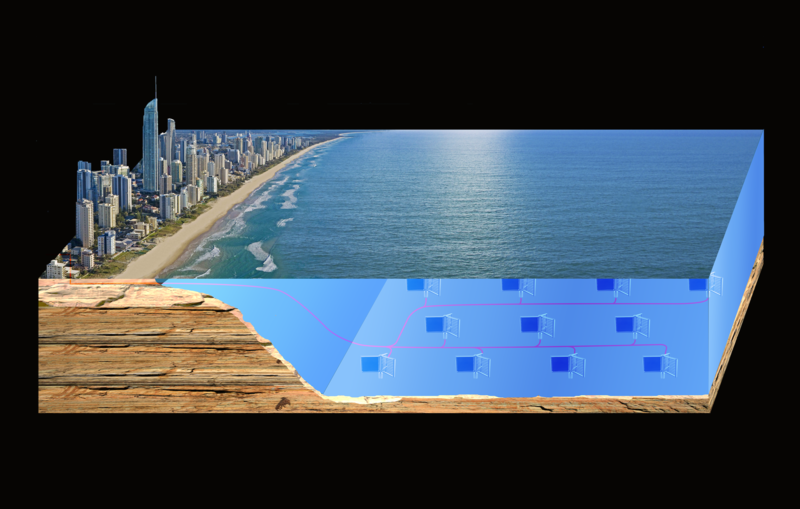 How Ocean Current Could Power Half the Homes in Florida. Last accessed June 26, 2015. Crowd Energy. n/d. Marine Hydrokinetic Turbine Farm. Press Photo. Permissions for use granted via phone communication. Last accessed June 26, 2015. Crowd Energy. n/d. Marine Hydrokinetic Turbine Testing. Press Photo. Permissions for use granted via phone communication. Last accessed June 26, 2015. Electric Power Research Institute (EPRI). December 2011. Mapping and Assessment of the United States Ocean Wave Energy Resource. Final Report. Last accessed June 26, 2015. Federal Energy Regulatory Commission (FERC). June 19, 2015. Hydrokinetic Projects. Last accessed June 26, 2015. Flickr. n/d. Image from page 66 of “New Geographies” (1910). Tarr and McMurry. New York: The MacMillan Company. Flickr Identifier: cu31924092515158. Last accessed June 26, 2015. Georgia Tech Research Corporation. September 15, 2013. Assessment of Energy Production Potential from Ocean Currents along the United States Coastline. Final Project Report. Last accessed June 26, 2015. Georgia Tech Research Corporation. September 15, 2013. Assessment of Energy Production Potential from Ocean Currents in the United States. Web-based GIS mapping tool. Last accessed June 26, 2015. Georgia Tech Research Corporation. June 29, 2011. Assessment of Energy Production Potential from Tidal Streams in the United States. Final Project Report. Last accessed June 26, 2015. Hawaii National Marine Renewable Energy Center (HINMREC). September 6, 2011. Welcome to Our New Web Site! Last accessed June 26, 2015. Lockheed Martin Mission Systems & Sensors (MS2). October 28, 2012. Ocean Thermal Extractable Energy Visualization. Final Technical Report. Last accessed June 26, 2015. Magesh, R. 2010. OTEC Technology – A World of Clean Energy and Water. Proceedings of the World Congress on Engineering. Vol II. Last accessed June 26, 2015. Meteorology Today. March 31, 2014. “Current” Affairs at the 2014 AMS Washington Forum. Last accessed June 26, 2015. Minesto. n/d. Deep Green Technology. Press Photo. Permissions for use granted via email communication. NASA/Goddard Space Flight Center Visualization Studio. February 15, 2012. 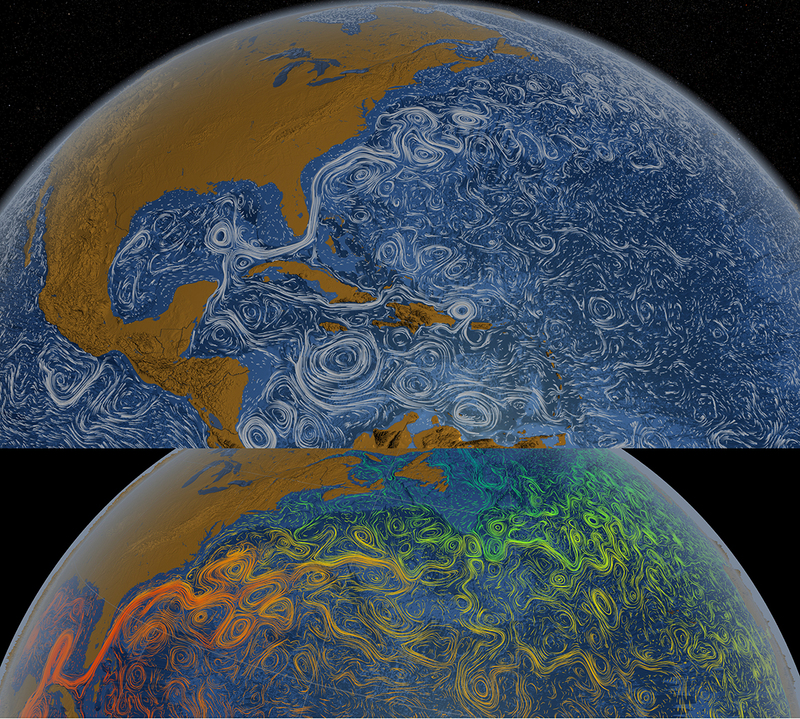 Gulf Stream Sea Surface Currents and Temperatures. Last accessed June 26, 2015. NASA/Goddard Space Flight Center Visualization Studio. April 9, 2012. Last NASA Views Our Perpetual Ocean. accessed June 26, 2015. NASA/Goddard Space Flight Center Visualization Studio. August 15, 2011. Perpetual Ocean. Videos (3:02 and 20:00) and still images. Last accessed June 26, 2015. National Hydropower Association. 2015. About the National Hydropower Association. Last accessed June 26, 2015. National Hydropower Association. December 9, 2014. NHA and OREC Form New Marine Energy Council. Press Release. Last accessed June 26, 2015. National Hydropower Association. 2015. Marine Energy Council. Last accessed June 26, 2015. National Oceanic and Atmospheric Administration (NOAA) Office for Coastal Management. n/d. Ocean Thermal Energy Conversion. Last accessed June 26, 2015. National Renewable Energy Laboratory (NREL). n/d. MHK Atlas. GIS web-based data mapping tool. Last accessed June 26, 2015. National Renewable Energy Laboratory (NREL) Image Library: Warren Gretz / NREL. October 1, 1989. HMTEA/NPPE Open Cycle OTEC System. NREL-04761. Last accessed June 26, 2015. National Renewable Energy Laboratory (NREL) Image Library: Ocean Power Technologies (OPT). April 15, 2011. OPT Power Buoy off the Coast of Scotland. NREL-22857. Last accessed June 26, 2015. National Renewable Energy Laboratory (NREL) Image Library: Columbia Power Technologies. April 1, 2011. 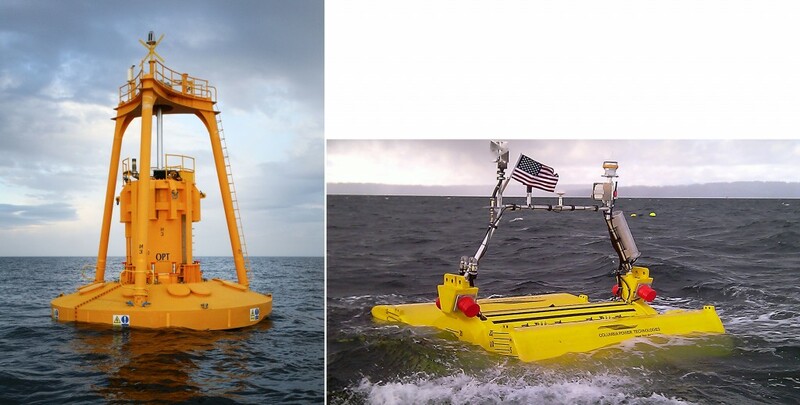 Yellow Floating Wave Energy Device with a U.S. Flag; Marine Hydrokinetics – Point Absorber. NREL-19381. Last accessed June 26, 2015. National Renewable Energy Laboratory (NREL) Image Library: Verdant Power. May 23, 2007. 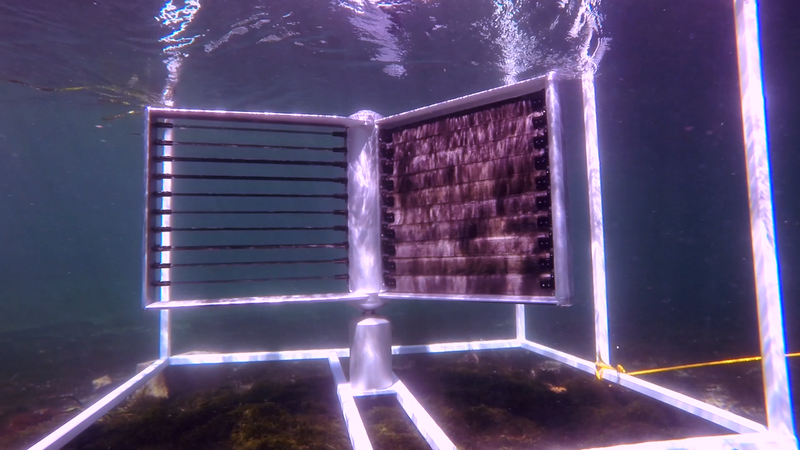 Verdant Power’s Free Flow Kinetic Hydropower System: Three-Bladed, Horizontal-Axis Turbines Deployed Underwater. NREL-17209. Last accessed June 26, 2015. Northwest National Marine Renewable Energy Center (NNMREC). 2015. Welcome to NNMREC! Last accessed June 26, 2015. Ocean Energy Europe. 2015. Ocean Energy Europe: The Largest Global Network of Ocean Energy Professionals. Last accessed June 26, 2015. Ocean Renewable Energy Coalition (OREC). 2015. About OREC. Last accessed June 26, 2015. Ocean Renewable Energy Coalition (OREC). May 2011. Marine and Hydrokinetic (MHK) Renewable Energy: Sustaining and Securing National Energy Needs with Water Power. PowerPoint presentation. Last accessed June 26, 2015. Ocean Renewable Energy Coalition (OREC). November 2011. U.S. Marine and Hydrokinetic Renewable Energy Roadmap: A National Strategy to Support U.S. Energy Security and Create Jobs through the Commercialization of Marine Renewable Energy Technologies. Last accessed June 26, 2015. Ocean Renewable Power Company (ORPC). n/d. ORPC’s TidGen® Power System. Press Photo. Permissions for use granted via email communication. Southeast National Marine Renewable Energy Center (SNMREC). 2013. Ocean Energy: SNMREC Contributions. Last accessed June 26, 2015. Southeast National Marine Renewable Energy Center (SNMREC). 2013. Ocean Energy Industry: Technology Readiness Levels Graphic. Last accessed June 26, 2015. Southeast National Marine Renewable Energy Center (SNMREC). May 2015. SNMREC Fact Sheet. Last accessed June 26, 2015. Southeast National Marine Renewable Energy Center (SNMREC). August 2013. SNMREC Frequently Asked Questions. Last accessed June 26, 2015. Southeast National Marine Renewable Energy Center (SNMREC). August 2013. SNMREC All News. Last accessed June 26, 2015. Southeast National Marine Renewable Energy Center (SNMREC). June 11, 2014. Powered by the Oceans, Blue Energy: Susan Skemp at TEDx BocaRaton. YouTube video (10:26). Last accessed June 26, 2015. Southeast National Marine Renewable Energy Center (SNMREC). 2013. Technology Testing: Small Scale Test Berths. Last accessed June 26, 2015. Southeast National Marine Renewable Energy Center (SNMREC). 2014. What is Blue Energy? Video (2:50). Last accessed June 26, 2015. Springer. 2015. Journal of Marine Science and Technology. Last accessed June 26, 2015. Springer. 2015. Journal of Ocean Engineering and Marine Energy. Last accessed June 26, 2015. Union of Concerned Scientists (UCS). n/d. How Hydrokinetic Energy Works. Last accessed June 26, 2015. U.S. Department of Energy (DOE). April 19, 2013. Energy 101: Hydropower. YouTube video (3:50). Last accessed June 26, 2015. U.S. Department of Energy (DOE) Office of Energy Efficiency & Renewable Energy (EERE). April 28, 2015. Energy Department Announces $10.5 Million for Next-Generation Marine Energy Systems. Last accessed June 26, 2015. U.S. Department of Energy (DOE) Office of Energy Efficiency & Renewable Energy (EERE). April 27, 2015. Energy Department Launches Competition to Drive Innovations in Wave Energy. Last accessed June 26, 2015. U.S. Department of Energy (DOE) Office of Energy Efficiency & Renewable Energy (EERE). n/d. Marine and Hydrokinetic Energy Research and Development. Last accessed June 26, 2015. U.S. Department of Energy (DOE) Office of Energy Efficiency & Renewable Energy (EERE). n/d. Marine and Hydrokinetic Resource Assessment and Characterization. Last accessed June 26, 2015. U.S. Department of Energy (DOE) Office of Energy Efficiency & Renewable Energy (EERE). n/d. Marine and Hydrokinetic Technology Development and Testing. Last accessed June 26, 2015. U.S. Department of Energy (DOE) Office of Energy Efficiency & Renewable Energy (EERE). January 2015. Marine and Hydrokinetic (MHK) Databases and Systems Developed with Support from the U.S. Department of Energy. Last accessed June 26, 2015. U.S. Department of Energy (DOE) Office of Energy Efficiency & Renewable Energy (EERE). August 16, 2013. Ocean Thermal Energy Conversion Basics. Last accessed June 26, 2015. U.S. Department of Energy (DOE) Office of Energy Efficiency & Renewable Energy (EERE) Wind and Hydropower Technologies Program. December 2009. Report to Congress on the Potential Environmental Effects of Marine and Hydrokinetic Energy Technologies. Last accessed June 26, 2015. U.S. Department of Energy (DOE) Office of Energy Efficiency & Renewable Energy (EERE) Wind and Water Power Technologies Office (WWPTO). April 14, 2015. Marine and Hydrokinetic Energy Projects: Fiscal Years 2008-2014. Last accessed June 26, 2015. U.S. Department of Energy (DOE) Open Energy Information (OpenEI). n/d. Gateway for Water Power. Last accessed June 26, 2015. U.S. Department of Energy (DOE) Open Energy Information (OpenEI). n/d. Marine and Hydrokinetic Technology Database. Last accessed June 26, 2015. U.S. Energy Information Administration (EIA). June 25, 2015. Electric Power Monthly, Data for April 2015, Table 1.1. Net Generation by Energy Source: Total (All Sectors), 2005-April 2015. Last accessed June 26, 2015. U.S. Energy Information Administration (EIA). June 2015. Electric Power Monthly, Data for 2014, Table 7.2a. Electricity Net Generation: Total (All Sectors). Last accessed June 26, 2015. U.S. Fish and Wildlife Service. May 5, 2015. Energy Development, Energy Technologies and Impacts: Hydrokinetic Energy. Last accessed June 26, 2015. Verdant Power. 2015. The RITE Project: New York, NY (East River – East Channel). Last accessed June 26, 2015. Yuce, M.I. and A. Muratoglu. March 2015. Hydrokinetic Energy Conversion Systems: A Technology Status Review. Renewable and Sustainable Energy Reviews (43:72-82). Last accessed June 26, 2015.
b Southeast National Marine Renewable Energy Center, College of Engineering and Computer Science, Florida Atlantic University, Boca Raton, FL. c Reclaim Solutions, Inc., Gainesville, FL. We gratefully acknowledge the contributions of content previously published by the Southeast National Marine Renewable Energy Center (SNMREC) at Florida Atlantic University for the purposes of developing this fact sheet. Foundational content was adapted from two SNMREC resources: 1) a “SNMREC Fact Sheet” for download dated May 2015 and 2) the SNMREC “Frequently Asked Questions” for download dated August 2013. As reported by American Rivers. For May 2014-April 2015, as reported by the U.S. Energy Information Administration, Electric Power Monthly, April 2015. MHK is also commonly used as an acronym for marine and hydrokinetic energy, inclusive of riverine in-stream (non-damned) hydrokinetic technologies. In this fact sheet, MHK refers specifically to marine renewable energy resources and conversion technologies. “NASA Views Our Perpetual Ocean” (April 9, 2012). For example, see the Journal of Ocean Engineering and Marine Energy and Journal of Marine Science and Technology. Based on electric generation statistics published by the DOE Energy Information Administration. As estimated by the Electric Power Research Institute (EPRI) in December 2011 and reported by the DOE in April 2015. As estimated by the Georgia Tech Research Corporation in 2011 and 2013 and reported by DOE in April 2015. As estimated by the Lockheed Martin Mission Systems & Sensors (MS2) in 2012 and reported by DOE in April 2015. Yuce and Muratoglu provide a recent (March 2015) technical review of these technologies in the scientific journal Renewable and Sustainable Energy Reviews: “Hydrokinetic energy conversion systems: A technology status review”. This 1-page fact sheet from January 2015 provides an introduction to recent MHK databases and systems developed with support from the DOE. Formerly the Ocean Renewable Energy Coalition. NHA Marine Energy Council announcement (December 2014). NHA “Who We Are” webpage. BOEM was formerly the Minerals Management Service; for background about reorganization of the Bureau, see this website. This might include potential regulation by Florida’s Coastal and Aquatic Management Areas, Fish and Wildlife Commission, Department of Environmental Protection, and/or Public Service Commission. For more information, see this American Bar Association paper: The New Wave of Florida Energy. Waves and tides are not strong enough in Florida to justify investment in grid-scale production, unlike in New England, the Pacific Northwest, Hawaii, and Alaska. See DOE’s Wave Energy Prize announcement here. See DOE’s Next Generation Marine Energy Systems announcement here.